Women Ministries is hosting a fundraiser to support WAR (Women At Risk) International. The dollars raised support women and children in a safe house provided by WAR International. 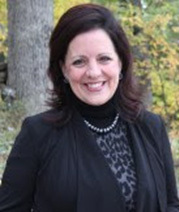 The speaker will be Becky McDonald, Founder and President of WAR International. Becky McDonald, founder and president of Women At Risk, International (WAR) has spent three decades in international, anti-risk relief work. As an organization, WAR exists to create circles of protection and hope around at-risk women and children through culturally sensitive, value-added intervention projects. WAR currently addresses 15 different risk issues and works in over 50 countries, including the United States. Although WAR primarily functions as an aftercare organization, it is also heavily involved in advocacy. Becky is a highly-sought after speaker who travels the world, sharing WAR’s passion with universities, communities, law enforcement, legal and medical societies, embassies and foreign governments and Home Land Security.